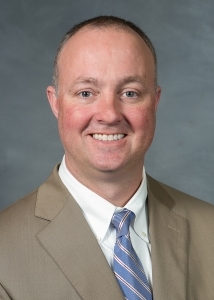 Representatives David Lewis (R-Harnett) and Darren Jackson (D-Wake) spoke about the upcoming session on an episode this week of Capital Tonight, a TV show broadcast on Spectrum News. The lame-duck session begins Nov. 27 and GOP legislators implementing constitutional amendments while they have their last little bit of veto-proof reign. Lewis said he expects they will draft a “good” voter identification bill and address the structure of the State Board of Elections and Ethics Enforcement. “Because as of December 4, we won’t have one, and it doesn’t even look like all the votes will be enacted at that point,” he said on the show, which aired Thursday night. A three-judge Superior Court panel ruled the structure of the State Board, which was created by Republican lawmakers, unconstitutional. They wrote in a 2-1 opinion (along party lines) that the makeup of the State Board violates the separation of powers clause in the Constitution by diminishing the Governor’s control over the agency. The current structure of the Board, per the court, would expire at midnight Dec. 3, hence Lewis’ comment about not having a Board on Dec. 4. Lewis also claimed on the show that lawmakers were working with the Governor’s Office to come up with a solution. He said he also expected lawmakers to address hurricane relief, to draft a “very small” appointment bill and an even smaller technical corrections measure to maybe correct a spelling of something. Capital Tonight host Tim Boyum asked Jackson, who is the House minority leader, if all of Lewis’ predictions for the session sounded right, but he didn’t know. “We really don’t know what to expect on our side,” he said of Democrats. Republican legislative leaders have largely left the minority party out of lawmaking since having their veto-proof majority. The big topic of discussion on the show was the voter ID bill. North Carolinians voted to enact a voter ID requirement in the state constitution, and enabling legislation is expected to be contentious. Lewis said lawmakers want to make sure everyone who is eligible to vote will be able to exercise that right, and he said they are looking at other voter ID laws that have been upheld by the U.S. Supreme Court. Their goal, he added, is to be even more expansive than those upheld laws they are studying. 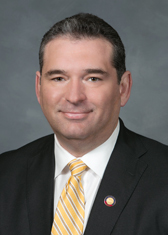 Lewis also said House Speaker Tim Moore and Senate President Pro Tem Phil Berger asked for the voter ID proposal to be sent to Jackson and Sen. Dan Blue (D-Wake) early next week to solicit feedback and input. They may even have a joint legislative hearing before the upcoming session. Jackson told Boyum he hopes lawmakers will consider DMV and election administration resources as they move forward with their proposal. “I just want to make sure, like Rep. Lewis said, that every voter who is eligible to vote can vote,” he added.